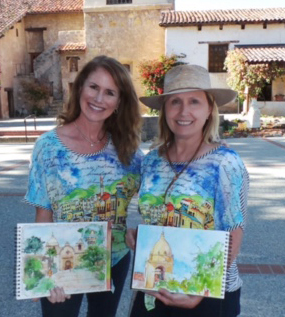 We had an amazing group at our Carmel Workshop last Fall; painting, writing, painting, cooking, painting, shopping, touring, painting….Thanks to everyone who joined us. We all took home the spirit of Carmel! Return in October 2017…details to come. Next…Provence, June 23-30, 2018. Only 10 special artists will be able to go on this limited trip. Check out details on the Provence page under Workshops. 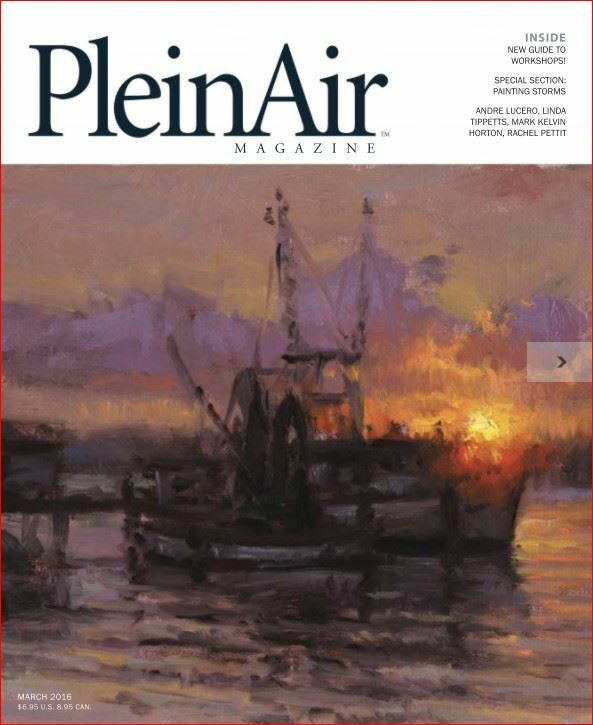 Cindy Briggs & Theresa Goesling are featured in the March 2016 Issue of Plein Air Magazine about our Make Every Day A Painting plein air workshops. 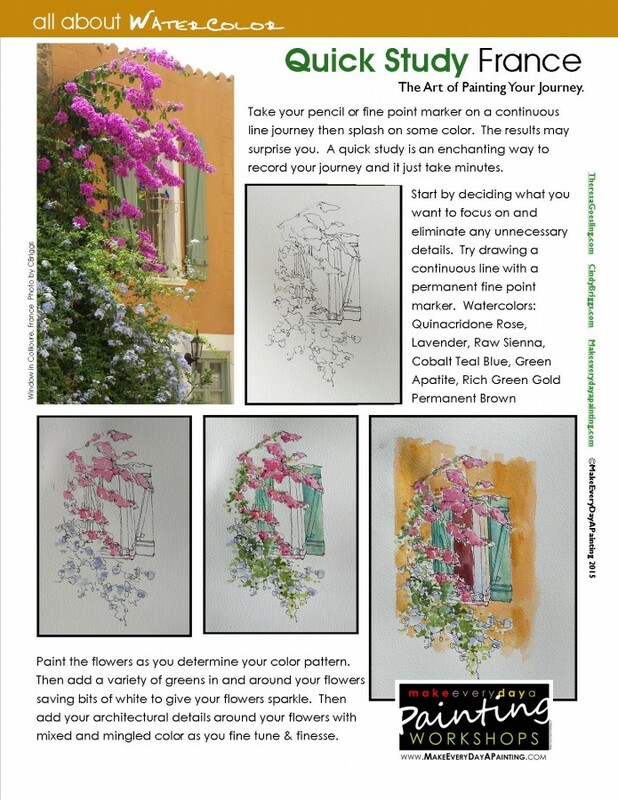 We discuss many of the details of running workshops with our interviewer Robert Bahr, Editor of Plein Air Magazine and Outdoor Painter. It was thrilling to see our story in the magazine after all these years of organizing workshops both in the US and Internationally. Actually, Bob was great at asking some unexpected questions, fortunately we’ve been doing this for over 15 years and had stories to share for just about any situation. arranging travel, customer service, allergic reactions and heart attacks, lodging, managing funds, special events, painting on location, and more. The word is getting out about the way we manage expenses, plan, prepare, promote and run our workshops. 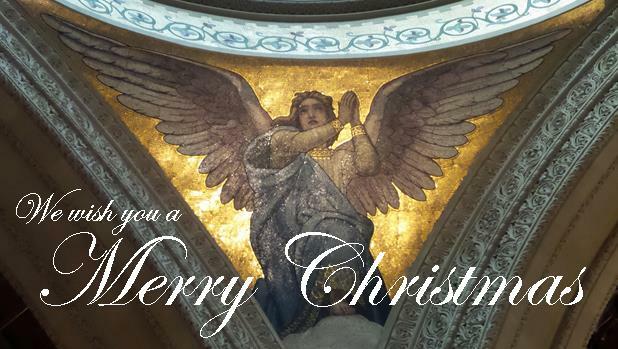 We hope you will check it out. 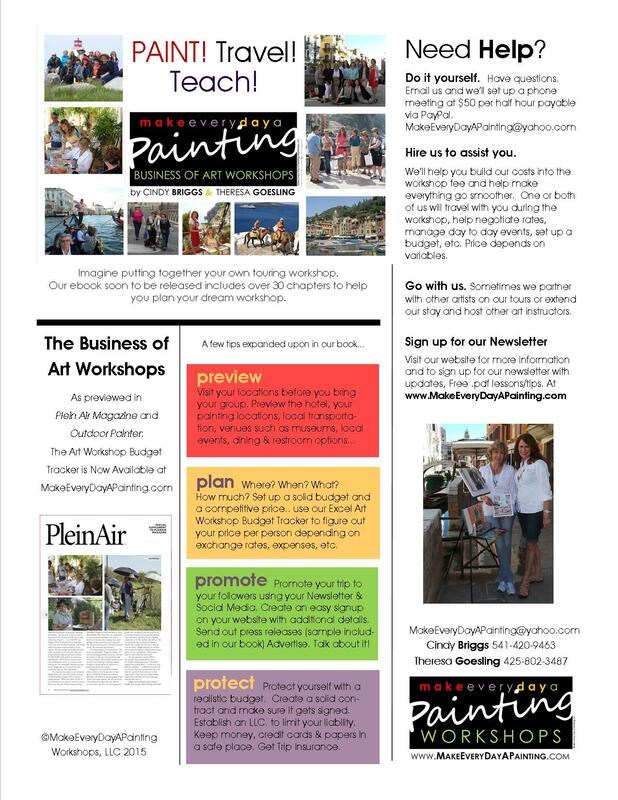 We are writing a book “The Business of Art Workshops” recently featured in an interview with Bob Bahr in the March 2016 Plein Air Magazine and also in a series of articles with Outdoor Painter. Listen to our BlogRadio “Artists helping Artists” broadcast at 10am Live on February 26 at 10am PST or go to the link to hear it after the show. It’s so much fun to share our ideas with such interesting people. Our years of collaborating has taught us a lot. We invite you to check into it. To the left is a flyer about running your own workshops…or better yet, come to one of ours. Check it all out on our website. 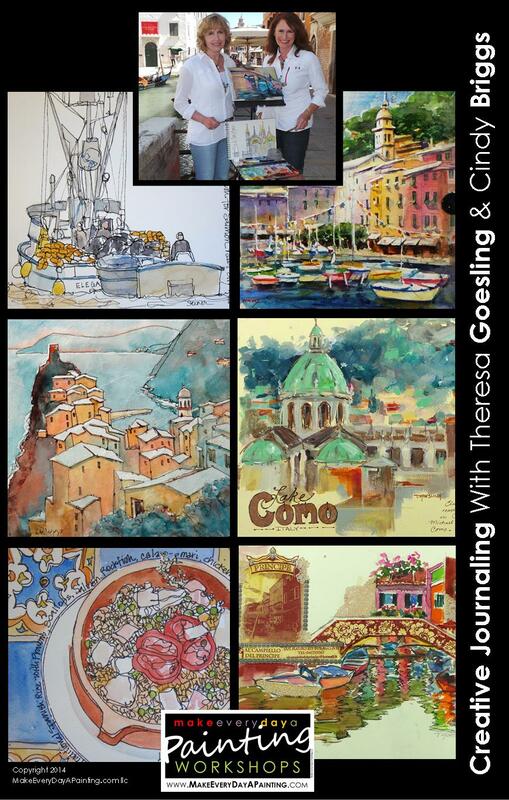 Theresa shared this painting from Spain in our recent newsletter. Sign up and get lessons and tips like this with each newsletter. 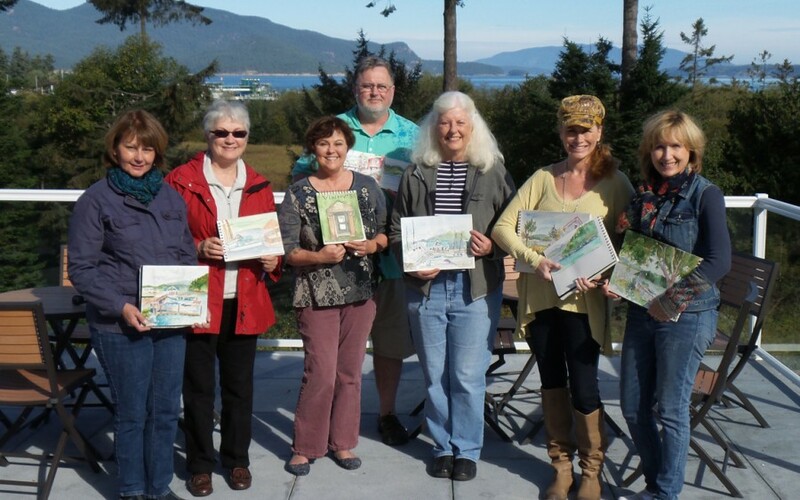 We like to preview our locations before setting up a Make Every Day a Painting workshop. 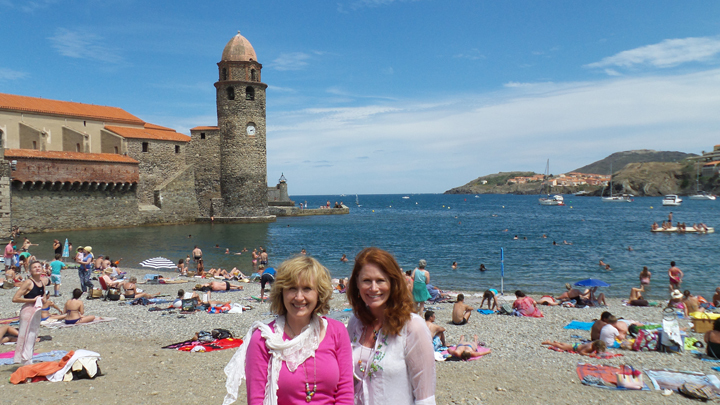 While we knew we wanted to go to Collioure, we wanted to see it before we invited you to join us. We spent a wonderful day in July exploring the area, checking out our hotel (yes it’s really nice! ), visiting the summer street market, and discovering the wide variety of places to paint. Colorful buildings, friendly people, Boats, castles, forts, vineyards, beaches, cafe’s, shops & galleries – all the things our artists like to have access to on one of our special trips. 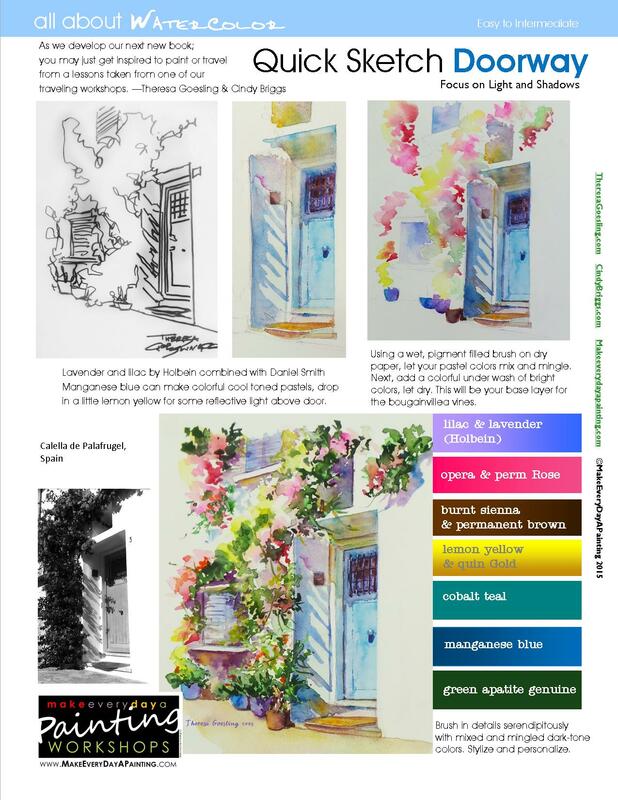 Check out our Paint France page to find out more.